Available on a thicker .015 gauge. 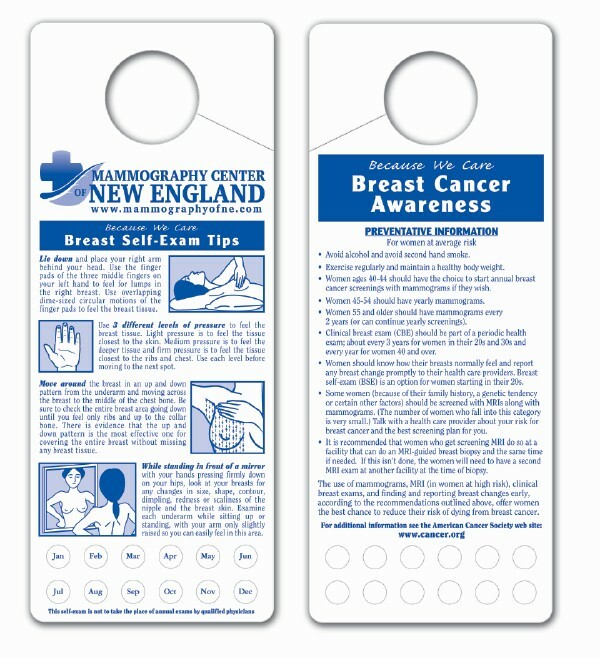 Imprint on front with stock preferred self exam technique; on the back - preventative information. Ad Copy Area: 7/8" x 3". See template.